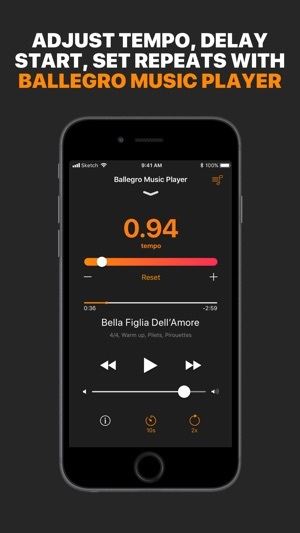 Ballegro Player is a music app especially for ballet lovers. It helps dancers and teachers practice Anywhere, Anytime, Any Tempo! Looking for the right music to accompany your ballet training? Find your perfect song in seconds from our ever-expanding library! Teaching ballet classes or practicing your routines at home? Adjust your tempo right at your fingertips! No internet connection? 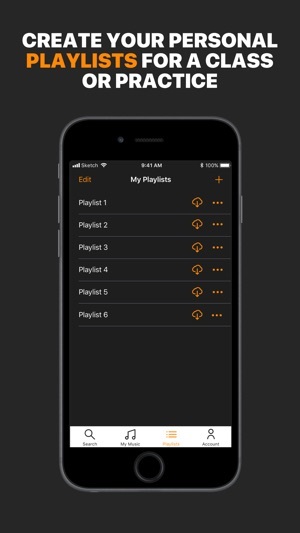 Access your playlists anywhere, anytime - Online and Offline! Already having your class music collections? 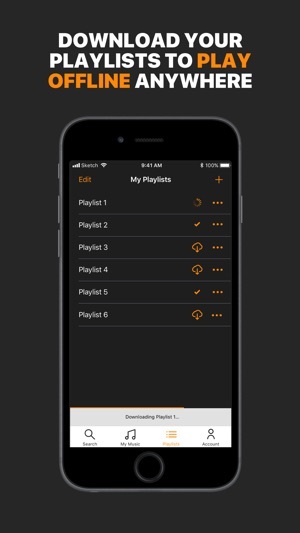 Instantly import your own media library and use all the Ballegro Music Player features! No more digging through boxes of CDs, no more precious time wasted searching and previewing tracks in looking for the perfect song. 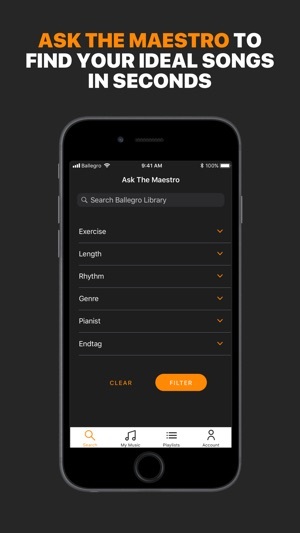 It provides dancers with an easy way to access a giant library of streaming ballet piano music. 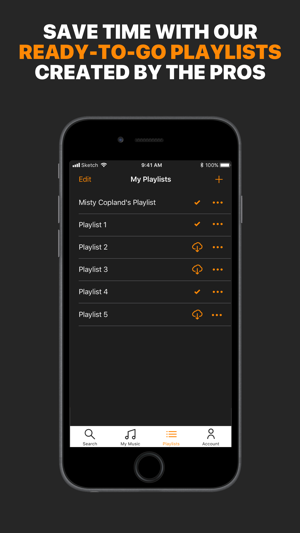 Each song is specifically created to accompany ballet classes & exercises. The music is already curated by professional ballet pianists. The collection is ever-expanding, as we keep recording and adding songs every month. Hire your smart pocket pianist and start practice right away. 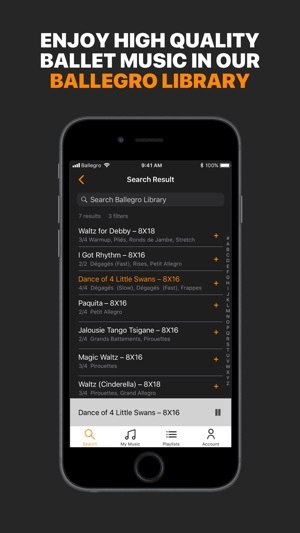 • Ballegro Music Library: Access, listen and play our ever-growing ballet music library. 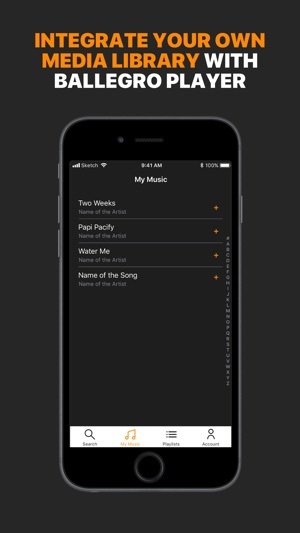 Songs are added every month! Create your Free account and enjoy Ballegro Freemium Now!